If you have any questions about the LIMITLESS information page below please contact us. From the Lurssen Yachts yacht builder in Germany the LIMITLESS is 96 m 316 (ft) in length. Christened by 1997 her interior decoration showcases the realisations of Tim Heywood / Francois Catroux. 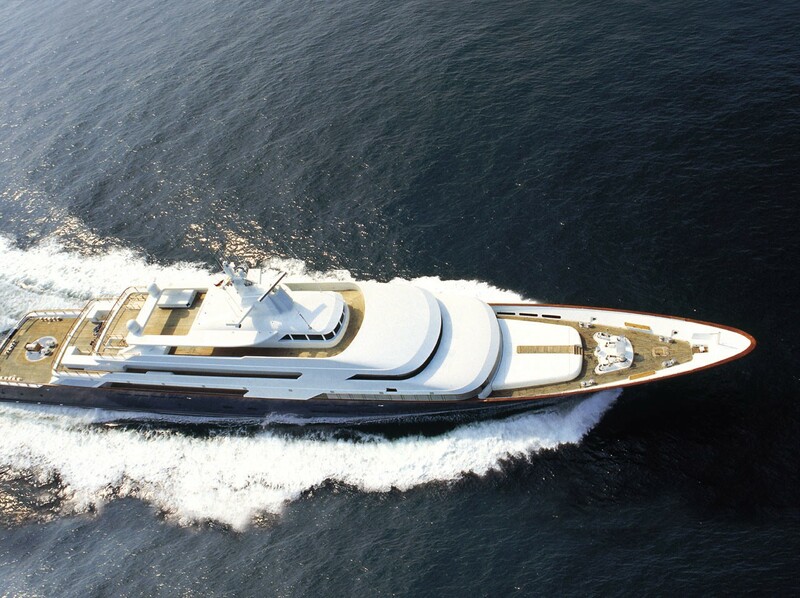 Superyacht LIMITLESS is able to accommodate up to 10 people with 20 professional crew. She is able to reach a maximum speed of 25 knots. Motor yacht LIMITLESS was built for Les Wexner, an American businessman who gained his success from being the chairman and CEO of the Limited Brands corporation best known for its brand Victoria's Secret. LIMITLESS has several unique features including an F-16 joystick control at her helm, a "dolphin cam" in her bow, and lights encompassing her waterline. Wexner reportedly considers the interior his private domain and will not release photos to the media. 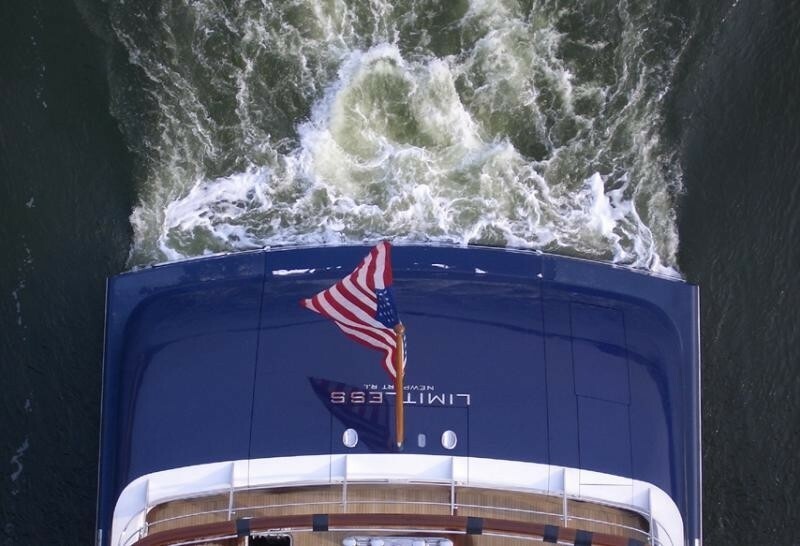 Lurssen was the naval architect involved in the professional vessel composition for LIMITLESS. Also the company Lurssen and Bannenberg Designs Ltd successfully worked on this venture. Interior designer Tim Heywood / Francois Catroux was commissioned for the overall interior ambience. Germany is the country that Lurssen Yachts completed their new build motor yacht in. After the formal launch in 1997 in Bremen she was afterwards delivered on to the proud new owner following sea trials and testing. The core hull was crafted from steel. The motor yacht superstructure component is fabricated mostly using aluminium. With a width of 12.41 metres or 40.7 ft LIMITLESS has beamy internal space. A reasonably deep draught of 4.39m (14.4ft) selects the number of certain harbours she can enter, depending on their individual characteristics. She had refit improvement and alteration work completed in 2004. The 3616 DITA engine installed in the motor yacht is produced by CATERPILLAR. LIMITLESS is propelled by twin screw propellers. The main engine of the ship creates 7265 horse power (or LIMITLESS kilowatts). She is fitted with 2 engines. 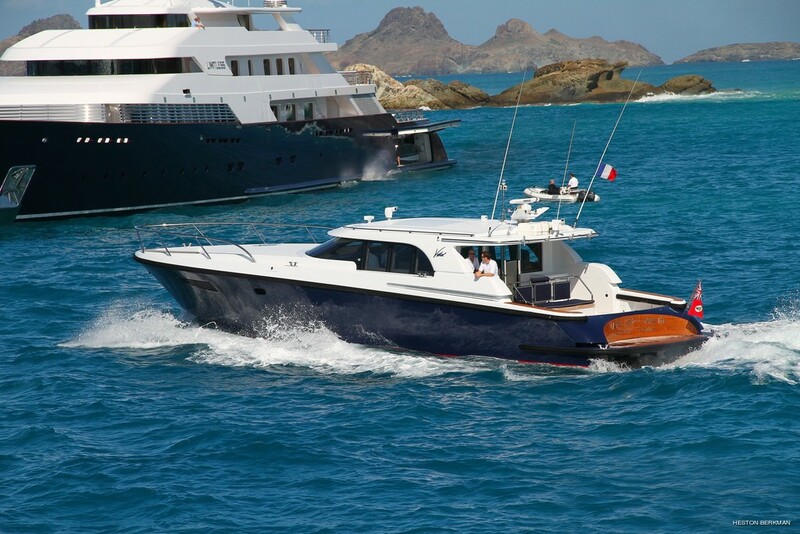 The total power for the boat is therefore 19890 HP or 14636 KW. With respect to stabalisers she uses Flume Tank. Providing volume for a maximum of 10 visiting passengers staying on board, the LIMITLESS accommodates them comfortably. The boat carries approximately 20 professional crew members to maintain and sail. 96.25 metres / 315 feet. Total engine power output 19890 HP /14636 KW. Cruising at a speed of 17 knots. Her top Speed is around 25 nautical miles per hour. Caterpillar 2 times 550 kilowatts; Allison Gas Turbine. 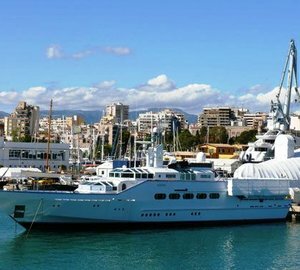 On October 2009 LIMITLESS went to Palma, in Spain. 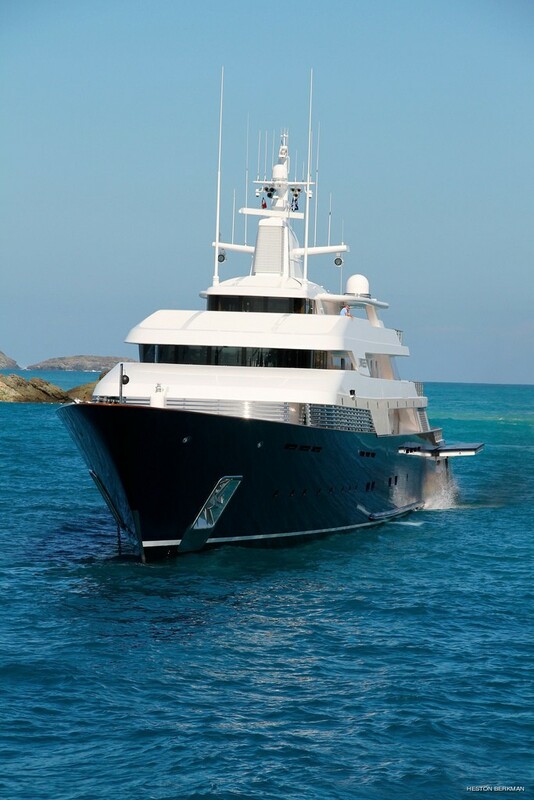 LIMITLESS also cruised the waters around Illes Balears during the month of October 2009. Heinen & Hopman is the type of AC employed in this boat. Her deck material is predominantly a teak deck. 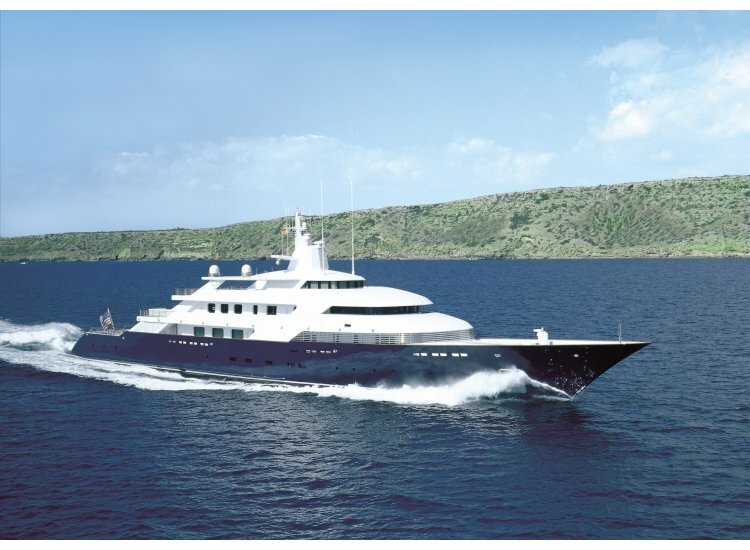 The luxury yacht LIMITLESS displayed on this page is merely informational and she is not necessarily available for yacht charter or for sale, nor is she represented or marketed in anyway by CharterWorld. This web page and the superyacht information contained herein is not contractual. All yacht specifications and informations are displayed in good faith but CharterWorld does not warrant or assume any legal liability or responsibility for the current accuracy, completeness, validity, or usefulness of any superyacht information and/or images displayed. All boat information is subject to change without prior notice and may not be current.